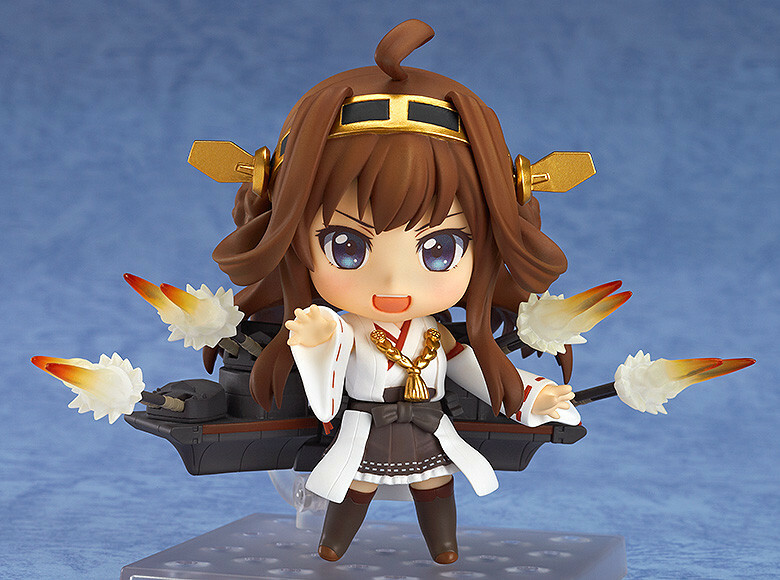 "It's my turn to join the Nendoroids!! Everyone, follow me!" 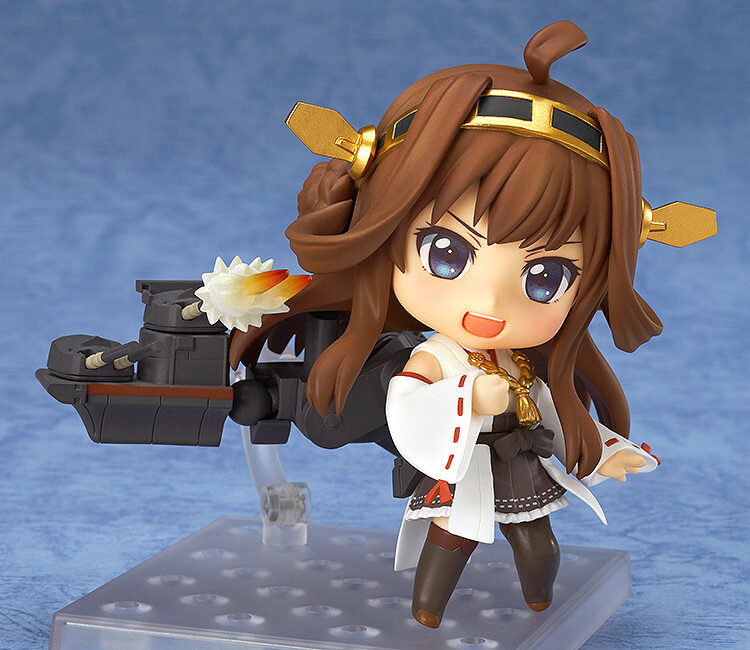 From the popular browser game 'Kantai Collection -KanColle-' comes a Nendoroid of the Super Dreadnought Battleship, Kongo! 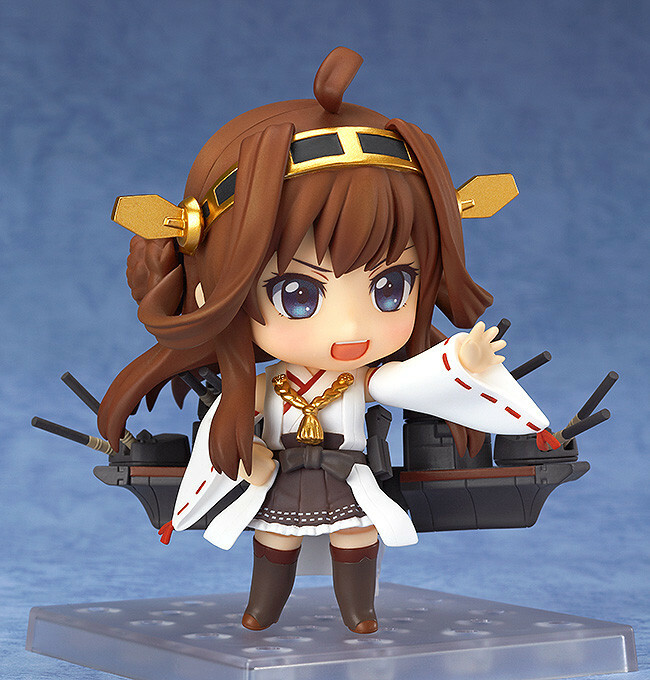 The large turret battery on her back featuring four separate turrets are each separately articulated for all sorts of poses! 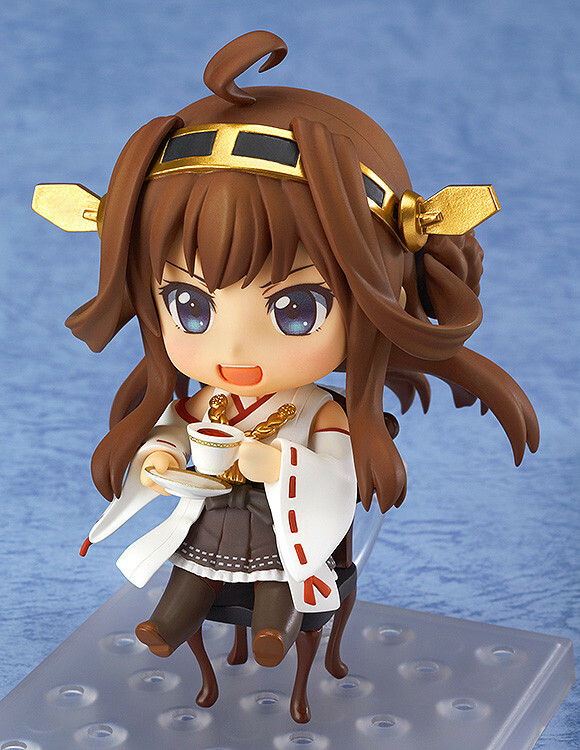 She also comes with a tea cup, saucer and chair to display her relaxing for tea time as any ship originating from England should! Alternate parts that allow you to display her in her half-damage form are also included, leaving fans with all sorts of different options to choose from! 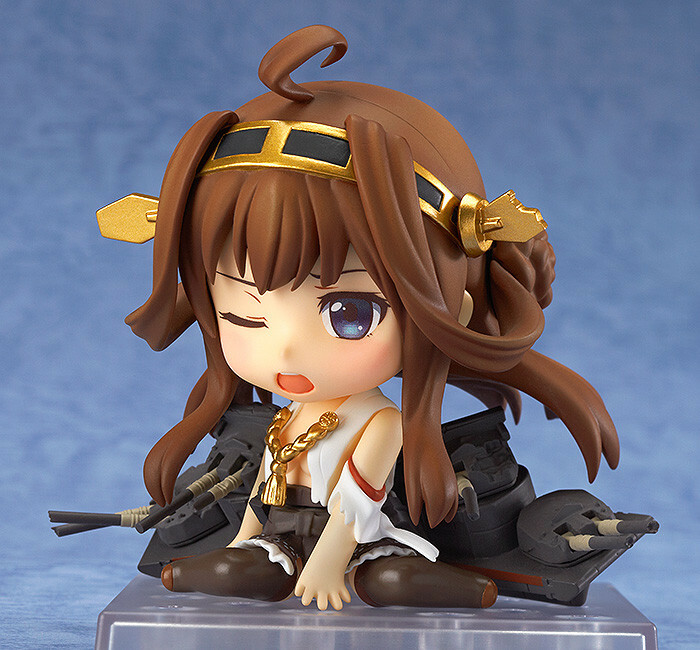 Preorders will be open from 20th March 2014 (Thurs) from 12:00JST until 16th April 2014 (Wed) at 21:00JST. 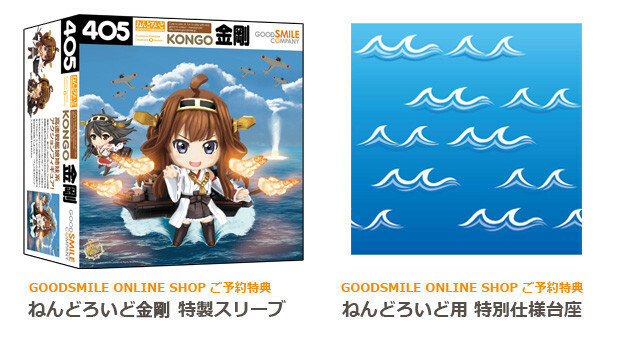 All preorders of Nendoroid Kongou from the GOOD SMILE ONLINE SHOP will include a bonus Ocean Nendoroid Stand and Nendoroid Kongou Box Sleeve! * Please note that stock of this product is limited. Order soon to avoid dissapointment. * Images of the special sleeve will be added at a future date. * Both the sleeve and bonus stand will be sent at the time your product is ready to ship. * Designs are all provisional and may change on the final product.